Have you looked through your email to find a product offer by a company that just doesn’t interest you at all? The next action that you might take is to either mark it as spam or just simply delete it. Many times, the title will just scream out spam which will immediately lose your trust with that sender. Businesses continue to find success in generating leads through email. How do they do it? Here are some effective strategies that you can apply to your marketing strategy. eTargetMedia provides targeted email listings for businesses looking to find clients within a specific niche field. Their high quality – and permission-based – email listing services are a fast and effective way to reach out to companies that are willing to listen to proposals. Utilizing this service will grant you opportunities to generate a lead and a business relationship that could blossom into something more. Familiarity is obtained through a healthy relationship between a prospective client and yourself. Forcing familiarity too soon will only make your prospect back away. Personalizing your email to acknowledge a subscriber will provide them with a sense of caring. It takes little to no knowledge to show a client that you appreciate them. For small businesses that are barely starting out, offering free content or a free service can boost your reputation from obscure anonymity to a household name. You’re going to see people take advantage of your freebie because – well, it’s free. Test out a list of free products that you offer and compile datasheets to see how they all fared. This will give you an idea on where your focus should be and what your subscribers want and expect from you. The rise of social media and mobile marketing have had a big impact on digital marketing but email Email Marketing continues to deliver the highest returns on investment of any marketing channel. Email data proves that successful email marketing continues to grow and is leading all other digital marketing strategies. The rise in use of smart phones, tablets and mobile devices has given every consumer immediate, on-the-go access to emails which is helping to drive the success of email marketing. In addition, social media has given marketers a new space to promote their email newsletters, increase email subscribers and offer special marketing campaigns that combine social media with email marketing. Email engagement has never been at a higher rate than it is now and email tracking is more sophisticated than it’s ever been. The following statistics prove that email marketing is thriving and deliver the highest engagement, sales and conversion rates of all digital channels. 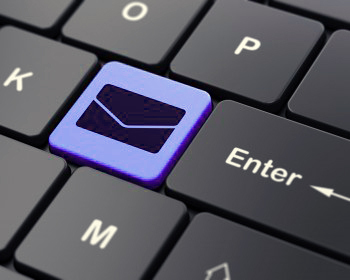 According to the Direct Marketing Association (DMA), for every $1 marketers spend on email, the average ROI is $44. 42% of businesses listed email marketing as the top digital marketing channel for lead generation. More people are reading email on their phones than on desktop computers (over 85% of them are using a smart device). E-mail messages that include a social sharing button generate 30% more click throughs than emails without a social sharing button. 43% of email marketers say email effectiveness is increasing and that they expect it to increase even more in the future. Over 70% of US consumers read email on their phones everyday (that’s over 100 million people) and that number is increasing daily. The number of worldwide email accounts is projected to grow from over 4 billion accounts in 2014 to over 5 billion email accounts by the end of 2018. Email is 40 times more successful at acquiring new customers than either Facebook, Twitter or any social media site. 81% of online shoppers said they were likely to make purchases (online or at a store) as a result of a targeted email campaign. eTargetMedia has the knowledge and experience to implement a comprehensive email marketing strategy that will produce measurable results in traffic, customer acquisition, and revenues. eTargetMedia’s services include online and offline direct marketing, including; Targeted Email Lists, Postal Lists, Email Append and Creative Services.